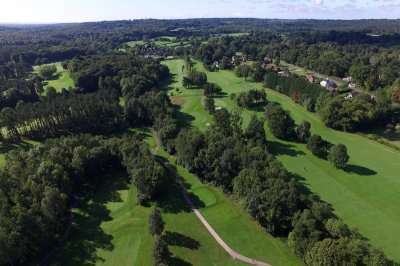 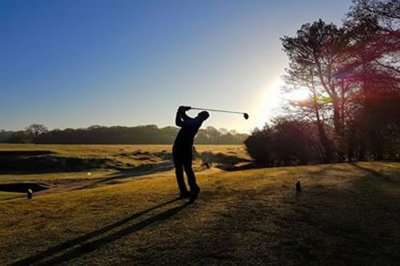 The Bell Inn is a family owned, independent 18th century freehouse with rooms and two 18-hole golf courses nestled in the heart of the New Forest and is the perfect place for you to relax in a quiet area and enjoy some brilliant golf. The Inn itself, is an authentic Grade II listed building boasting age-old rustic charm with flagstone floors, large open fireplaces and beamed reception rooms, humbly mixed with countrified-chic trimmings – a respectful, flat-capped nod to the old, as well as the new. With an informal feeling throughout and dogs more than welcome, guests can choose to eat wherever they want in up to four areas including the large Bar at its heart, with its unique double-aspect fireplace, cosy corners and sofas in which to sink with a real ale or fine wine in hand. 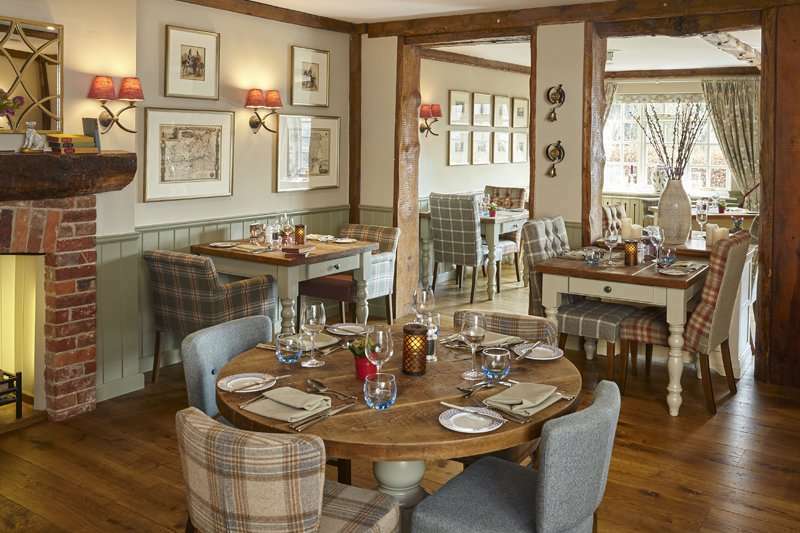 The Oak Room is a warm and intimate, refined area decorated with burnished woods, rich-earthly tones and original oak beams. 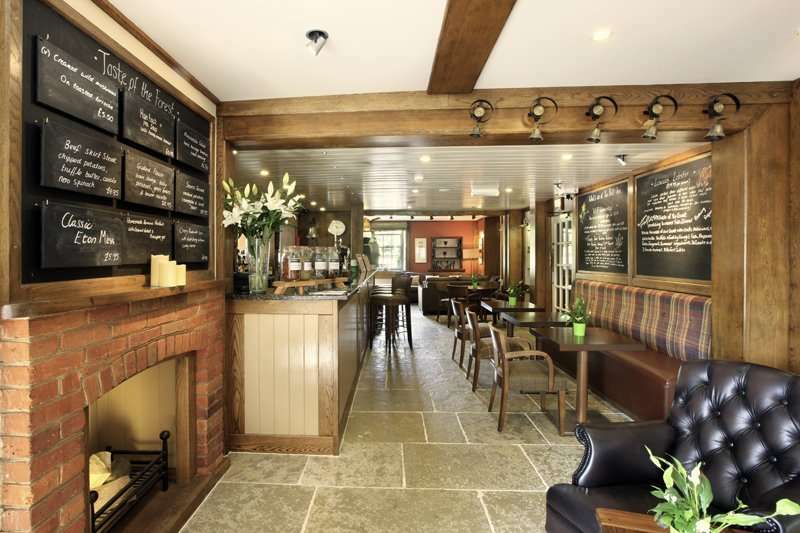 The beautifully light and airy Garden Room offers a sense of dining alfresco – inside – and leads out through French doors onto the terrace, stretching out into the garden. 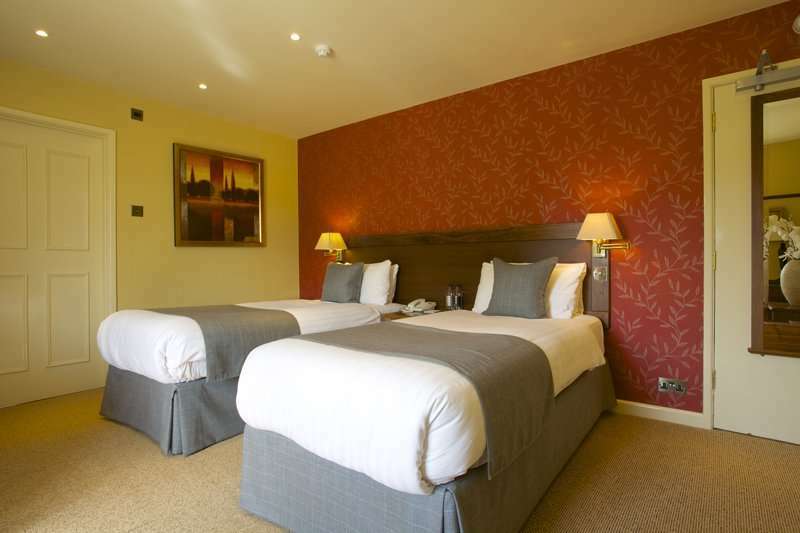 Prices from £129pp PLUS 1 x free in 12 - T&C's apply. There’s always room at the Inn as The Bell Inn offers 28 en-suite bedrooms, ranging from the classic bedrooms that feature family and dog-friendly rooms on the ground floor to the comfortably appointed Forest and Estate rooms and the beamed Snugs - a cosy, rooftop retreat. 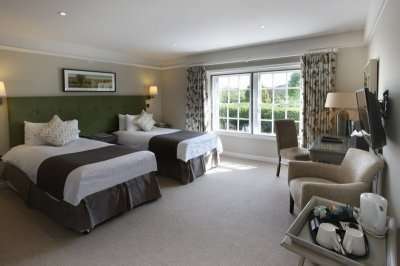 The large Manor bedrooms can interconnect to create a spacious living quarter for groups, families or a luxury private suite with separate sitting area and the Master Suite is a countryside haven with views over the garden complete with a king-size sleigh bed, large en-suite bathroom and large, separate walk-in shower. Each bedroom comes with Egyptian cotton bed linen and soft duvets to snuggle and relish the peace of the woodland as well as all the mod-cons guests expect including flat-screen digital televisions, hospitality trays, a dressing table, telephone and hairdryer. 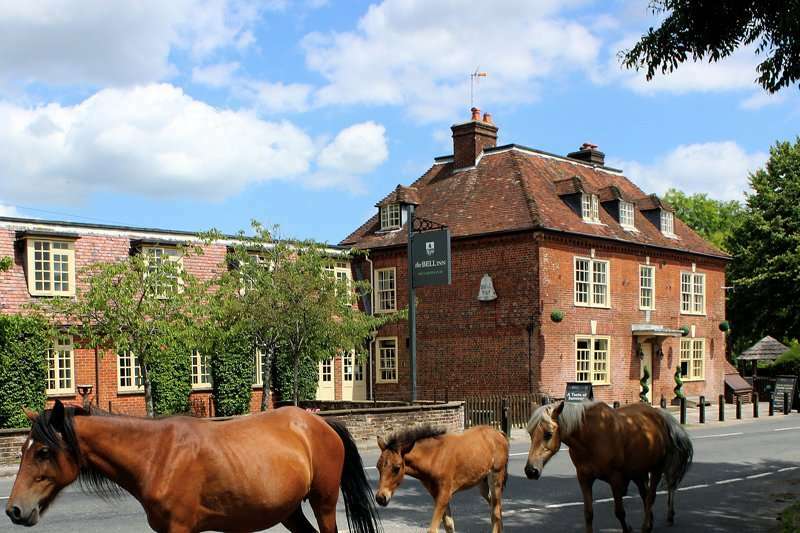 Gloriously positioned in a picture-perfect village firmly in the heart of the New Forest National Park, The Bell Inn is just minutes from the motorway and avoids the main traffic hotspots across the New Forest. 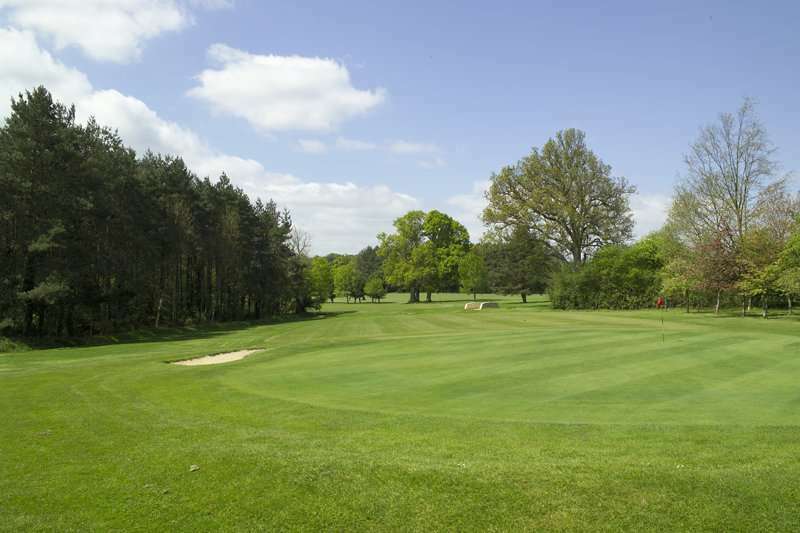 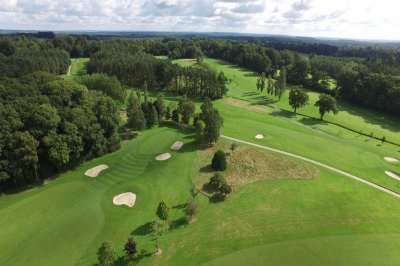 For the visiting golfer, it’s the perfect country hideaway from which to eat, sleep and play golf!